We all face affliction; we all need hope. Affliction breeds the strongest hope. We may not realize it while we’re stuck in the mire, but it’s there we build strength. Strength that’ll one day bolster others–sometimes sooner than we realize. 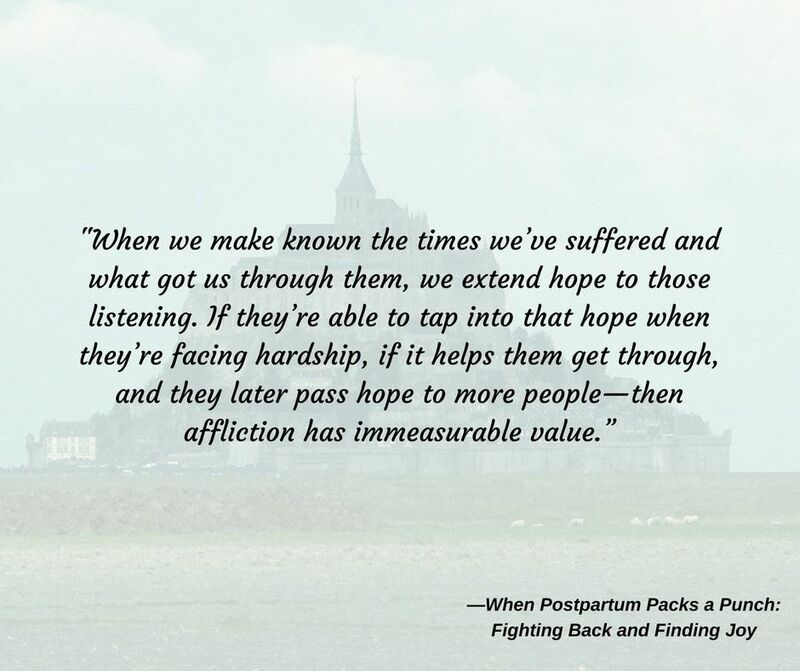 I talk about this in my book, especially as it relates to perinatal mental health. But it applies to any time in life. The quote below is one several of my readers have flagged as a favorite. Love that quote from your book!